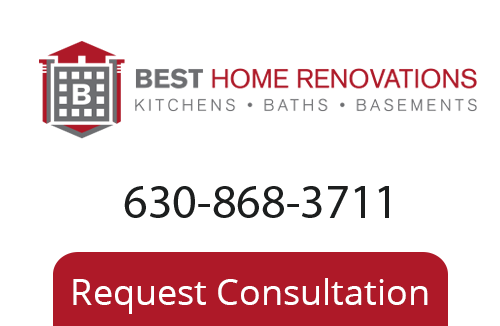 Choosing the right Chicagoland tile company provider is as important as choosing the right tile itself. Why is that? You may have chosen the most fabulous tile design you can ever have for your home but what about its quality? Can you truly count on the tiles your provider will supply to you? Before making a choice, it pays to determine what you should look for in a tile provider. To help you end up with the right one, here are five questions you can use as a guide and the provider of your interest should better be able to give great answers to them. Don’t be contented with brochures, ask your tile company provider for their tile samples. It’s better to check the options you have personally. Tile colors may differ in pictures and in real life. If you check personally, you’d also get to feel the texture of the tiles you are eyeing. What your tile company provider knows about tiles? Surely, the provider wouldn’t mind if you ask about its experience in the tiling industry. Find out the services offered by the provider. Ideally, you want a tiler that won’t just supply the tiles for you but can also offer you installation services. Chicagoland Tiles are not created equal. They can be of different grades and different purposes. There are brick tiles, ceramic tiles, cement tiles, porcelain tiles and so on. Ask your tile company provider in for suggestions as to which type of tiles is the best for your floors, walls or wherever you intend to use the tiles you are purchasing. Considering that you have set your tile preferences already, it wouldn’t hurt to hear ideas and educated suggestions from the tile expert. Asking for suggestions is also an opportunity to test your provider’s knowledge about tiles. Your tile company provider should not at all be evasive about discussing the costs involved from the very beginning. A dependable tile provider will say it as it is. If you’re lucky enough, you can end up with a flexible provider that will even make the adjustments for you and try to work on your set budget if possible. The last thing you want to happen is to exceed the budget you have allocated for your tiles so if your provider is beating around the bush about the possible expenses, you are dealing with the wrong company. And don’t forget to compare the quotes with quotes from other providers so you’d know that your provider is not trying to take advantage of you. Asking for a reference or two will not bother your tile company provider, that’s if your provider is confident of its products and services and is not afraid of anything. If you’re going to ask for references, you better make use of them. Contact at least one recent customer of your provider. One brief phone call can reveal a lot about your provider’s quality of service and professionalism. If you’d keep these five critical questions in your mind when searching for potential providers, you are surely bound to make the right choice and end up with the right tiles for your home. By asking these questions to your tile provider, you’d be able to know whether the provider you’re talking with is the one you are looking for or you need to look further.